An attractive modern home build in a traditional style is now available for purchase. 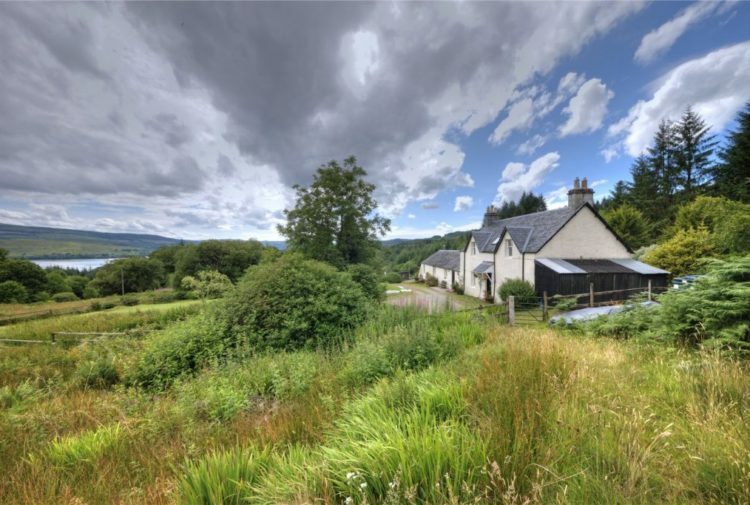 Blenkiron, in Fowlis Wester, Crieff, Perthshire, is presented for sale by Galbraith. 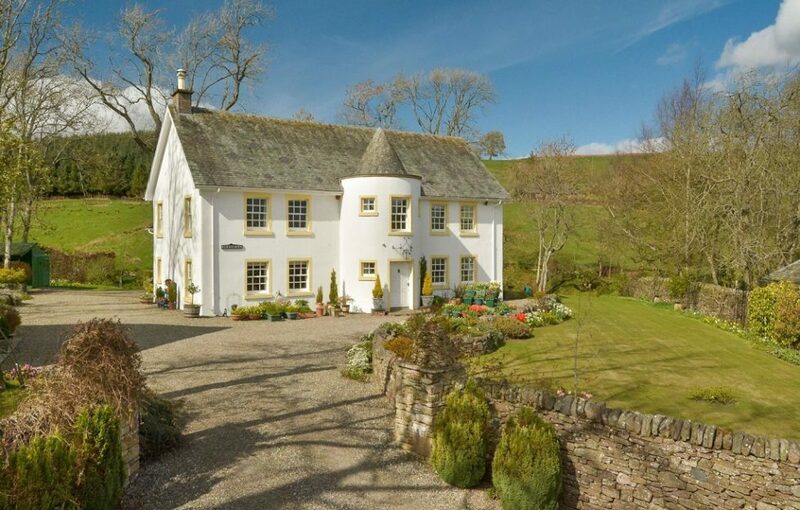 Blenkiron is an impressive, detached house, facing south-east, providing a good layout with well-proportioned rooms. There are many fine and interesting features with generous family living space for entertaining. It is naturally bright throughout with wonderful views onto the landscaped gardens. The spacious entrance hall with a tiled floor benefits from under floor heating and internal windows provide light from the drawing room and dining room. The drawing room, with a dual aspect, has a Jetmaster wood-burning fireplace and an area which is semi contained and currently used as a library. The dining room, also benefiting from a dual aspect and underfloor heating, has a striking floor to ceiling double height window allowing wonderful views of the garden and surrounding farmland. 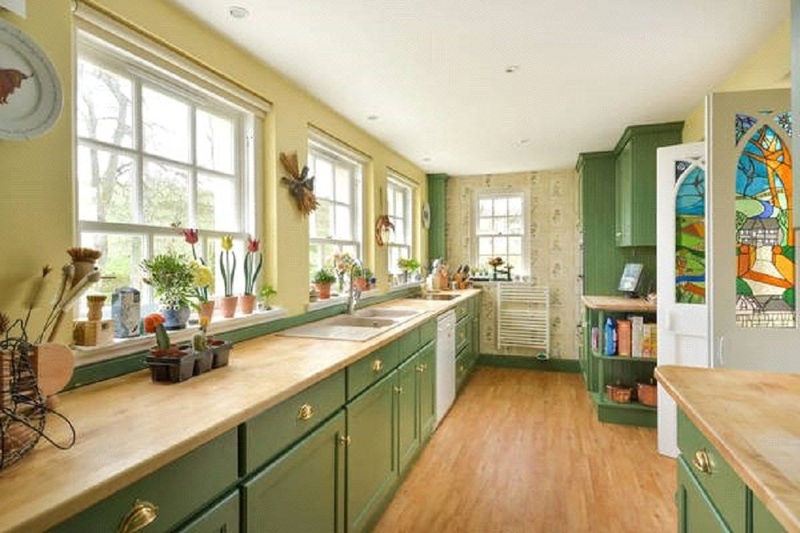 There are beautifully designed stained glass windows incorporated into the door to the kitchen which capture the local countryside scene perfectly. The country style kitchen has a range of wall and base units with an integrated double oven and warming tray, electric hob and built-in fridge together with two electric radiator/towel rails. The remaining accommodation on the ground floor consists of a room currently used as a study but could also be bedroom four, cloakroom and a good sized utility area containing the oil fired boiler, plumbing for a washing machine, Belfast sink, balanced pressure hot water tank with immersion heater and a door leading to the garden. 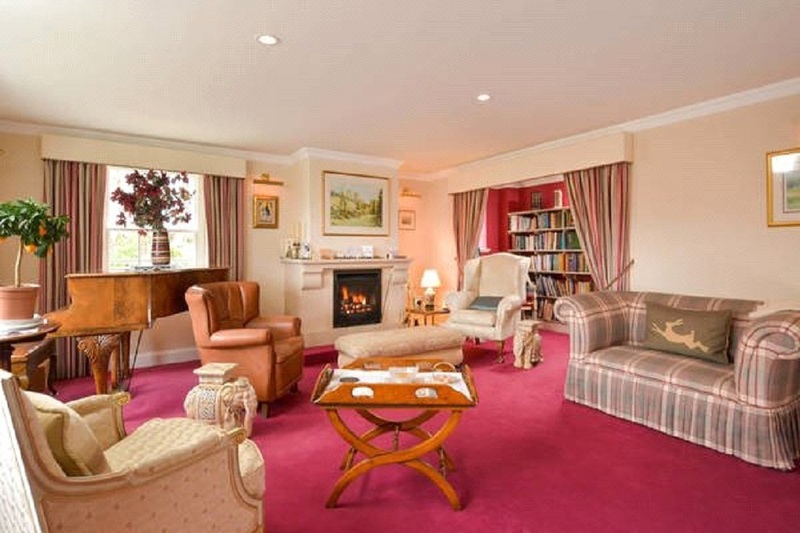 The first floor has a beautiful triple aspect sitting room with excellent views onto the front and rear gardens. There are three double bedrooms, two which have fitted wardrobes and one extending into the half tower area with an en-suite shower room with tasteful fittings. A generous family bathroom has modern white fittings with a bath and a separate shower. There is a heated airing cupboard on the landing. 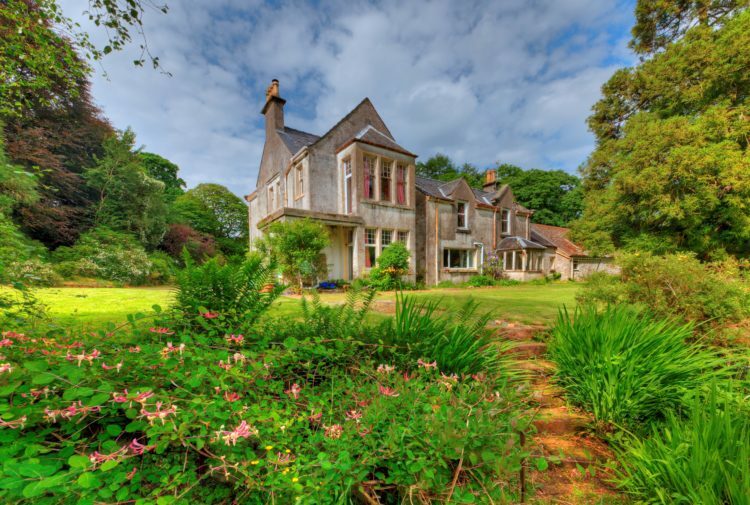 Blenkiron sits centrally in beautifully landscaped and private gardens. There is a generous drive way for off street parking and a detached double garage with a concrete floor and electricity. The garage has had historic planning permission (now lapsed) for being converted into further accommodation. Subject to obtaining new planning permission, the garage would make an ideal self-contained cottage. The large oil storage tank is within a stonewalled enclosure at the rear of the garage. There is also a shed and a log store. The gardens are well balanced with lawn, mature trees, shrubs, a burn and a pretty local stone bridge. 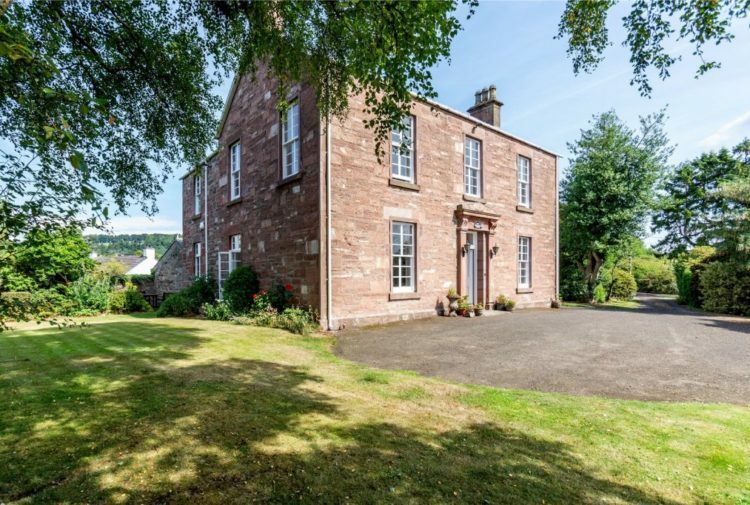 Blenkiron enjoys a highly sought after position in the historic village of Fowlis Wester on the North side of Strathearn. Fowlis Wester was once a main centre of the weaving trade, a cattle droving market to rival Falkirk and has been a place of worship since the eighth century St Bean’s Kirk houses famous Pictish stones and was the setting for the wedding scene in the film Chariots of Fire. The town of Crieff provides very good day to day facilities including a supermarket, medical centre, veterinary surgery, post office, primary schools and a community campus with secondary school, swimming pool, recreation centre and library. There are excellent independent schools in the area. The Crieff Hydro, located within the town, has an excellent choice of restaurants, social events and a wide variety of family activities. Crieff Golf Club, located on the edge of the town, is one of Scotland’s top inland courses. In the heart of golfing Perthshire, it offers twenty-seven holes with spectacular views and challenging play for all levels. 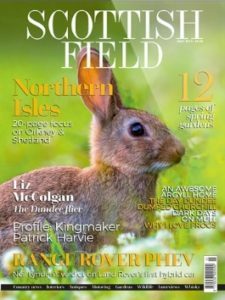 Perthshire is renowned as one of Scotland’s most magnificent areas with beautiful countryside and a plethora of outdoor pursuits. The world famous Gleneagles Hotel and Golf Resort is located about 10 miles south with three championship courses, swimming pool, gym, equestrian centre, shooting school and restaurants including the 2 Michelin Star Andrew Fairlie. 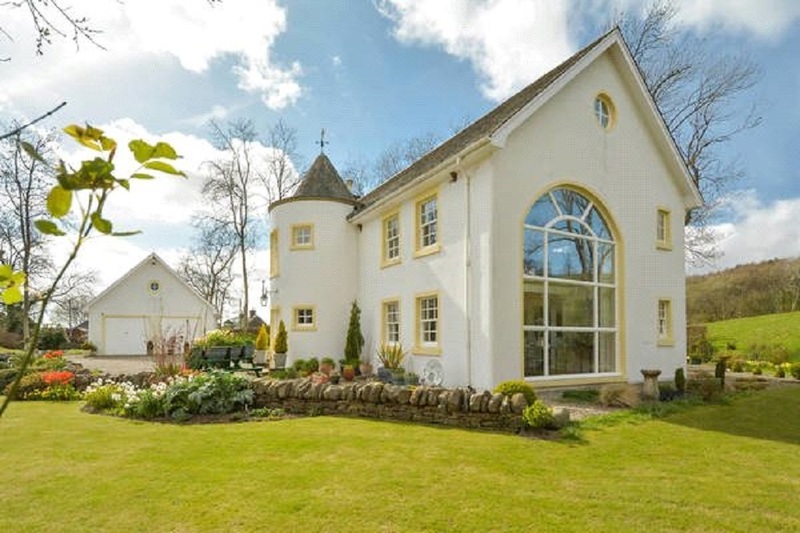 This property has a guide price of £600,000.